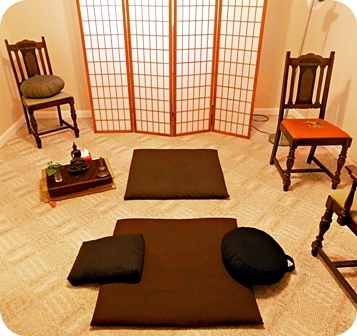 Dokusan, or private instruction, provides an opportunity for Zen students to work directly with a teacher in a confidential, face-to-face setting. In the early days of Buddhism in Asia, interactions between Buddhist masters and their students usually occurred in public gatherings of the monastic community, or on spontaneous interchanges during work and other temple activities. Over the centuries, particularly in Japanese Zen, such interactions became increasingly private and formalized. In time, these private meetings, known by the Japanese term "dokusan," became an integral part of Zen training. Today in the West, dokusan has become an essential element of practice for many western Zen students, and is especially emphasized in the Rinzai tradition. 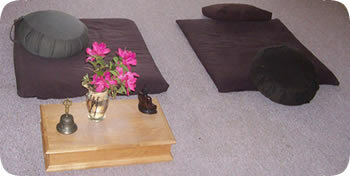 In Zen retreats, or sesshins, dokusan is usually offered two or three times per day. Our teacher, Lawson Sachter-Roshi, visits the Clear Water Zen Center several times each year to conduct retreats and provide dokusan. Daisan is a private, confidential meeting between a Zen student and a senior student who has been authorized by the Zen teacher to advise students on questions about their practice of Zen. 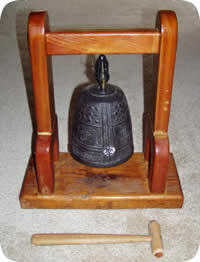 Our teacher, Lawson Sachter-Roshi, has authorized Jeff George to provide daisan to the sangha. At the Clear Water Zen Center daisan is offered on every third Sunday during our Formal Zazen Meditation service and is often available on other Sundays upon request before meditation begins to Jeff.